Carl H. Vulcan, CPA, CFE has been a Partner of Catanese Group since 1983 and a CPA since 1979. He specializes in the areas of tax, financial issues, succession, estate planning, fraud investigations and prevention, and business development. Mr. Vulcan in involved in various internal and external firm activities, such as quality control standards of the firm and peer review engagements. 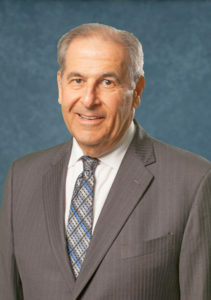 He primarily serves closely-held companies and family-owned and managed businesses involved in real estate sales, real estate management and development, manufacturing, construction, transportation, insurance, retail, and professional services. Mr. Vulcan has developed a specialty in litigation support, fraud detection and prevention, and forensic accounting services. He is approved to provide expert testimony in cases involving real estate and business valuations, divorce/domestic relations, fraud, and complex taxation issues in the Court of Common Pleas of Allegheny County and Cambria County.